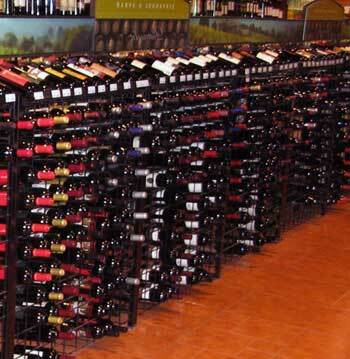 Bellow is a list of our most popular wine display configurations that can be connected together to create a as long as needed wine bottle display. 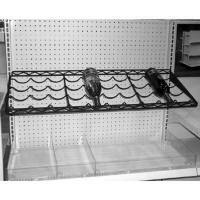 We have hardware available to connect the racks back to back or the displays can be connected to a wall. 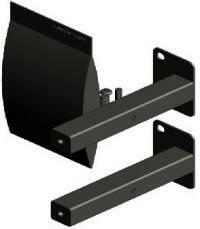 The WWDWC Hardware Pack is designed to mount the Wire Wine Displays to the wall for assed sturdyness and support. 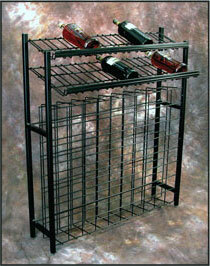 The WWDBBC Hardware Pack allows for the Wire Wine Display to be mounted back-to-back against another display unit. 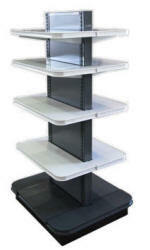 This versatile custom four way island display gives maximum exposure to impulse items. 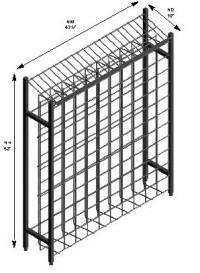 Panel frames are slotted to accept all shelves or accessories. Available in sizes starting at a 42" base X 48" high to a 54" Base X 72" High. 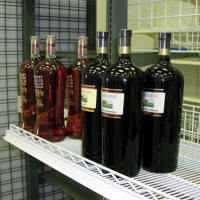 Our Wine Island provides you with the ideal display. Perfect for viewing - easy to stock - total accessibility - what more could you ask? 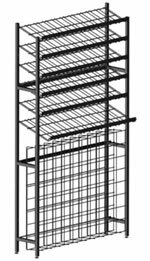 Features: All wood construction with pine base, Steel bracket connector to keep islands securely fastened, Wine capacity exceeds 18 cases per unit.